Sir Jackie Stewart spoke to the Daily Mail about his life in Formula One, including his campaign for racing safety, his 52-year marriage to Helen Stewart, and his limited edition book with Genesis Publications. You can read the full article by clicking here. 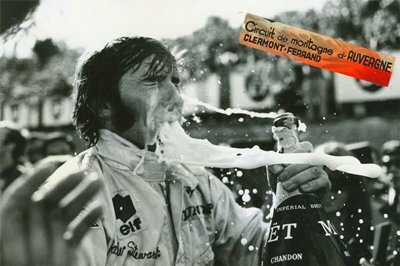 For more information and to order Jackie Stewart’s COLLAGE, click here. Jackie Stewart has also commented on Lewis Hamilton’s victory at the Abu Dhabi Grand Prix yesterday. Hamilton is now one of only four Brits to win two world titles, and is one title away from Stewart’s record of three wins.